The issue: value-based contracts will only become mainstream if manufacturers and payers come together in a safe, transparent forum to develop solutions to common issues related to defining and measuring outcomes and data sharing. One solution: the creation of “Value Labs,” joint ventures between industry, payers and other stakeholders to research, evaluate and deliver value to the health care system. So what? Value Labs provide a road map for replicating the findings from successful value-based pilot programs across multiple payers to drive more rational resource utilization, improve patient outcomes and accelerate their rate of adoption and collective impact. 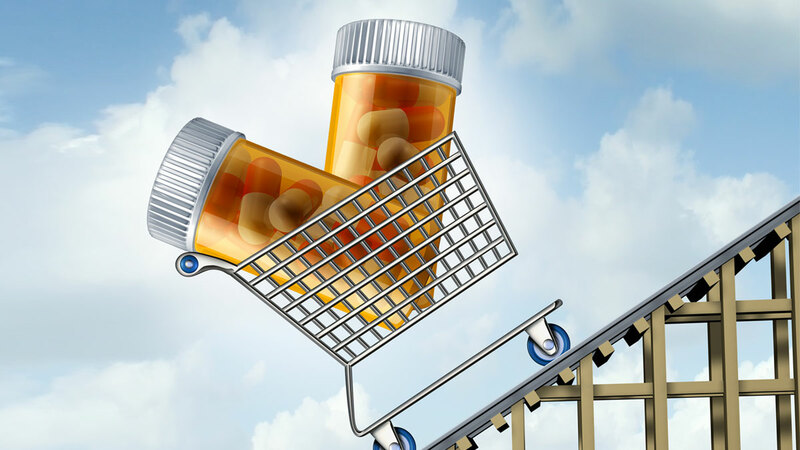 Indeed, an analysis by EY shows that 44% of drugs launched between 2005 and 2013 underperformed compared with forecasted sales expectations two years after launch; roughly 20% of these underperforming products were medicines to treat cancer, an area that historically has been free of reimbursement pressure. In addition, VBCs represent a method for measuring important patient-centric mechanisms such as quality of life, improved medication adherence and reduced worker absenteeism. Such outcomes are not usually prioritized by health technology assessment groups or traditional payers, unless there are accompanying real-world data demonstrating improved outcomes. The current crop of value-based contracts is still too limited in scope to drive a meaningful shift to value-based reimbursement. There is also a need to construct agreements that tie a greater percentage of a drug’s cost to the desired outcome. Currently, few of the existing VBCs risk much – either for the payer or the pharma. And, even in therapy areas where there is significant competition, only a minority of VBCs have scaled beyond the pilot phase. Moreover, because VBCs are typically structured between a specific payer and manufacturer, it is difficult to expand their use to additional payers and at-risk providers quickly. Ultimately, that makes it challenging to share best practices and lessons learned that would more broadly accelerate the shift to value-based reimbursement in the current regulatory environment. A new approach to VBCs is required so that these contracts move from being exceptions to mainstream practice. Only then can we transform product reimbursement and fuel the shift from volume to value. “Value Labs,” or structured collaborations between manufacturers, payers, health care systems, data providers and adjudicators are one way to explore value-based contracts in a safe forum. (See Exhibit 1. )Inherently multi-stakeholder, these Value Labs are a "sandbox" to promote experimentation while mitigating known pain points, such as defining and measuring outcomes and building systems to share data. And, because they provide an opportunity for participants to work together to address and operationalize core challenges, Value Labs will increase transparency, which further promotes trust and drives collaboration between stakeholders. It is important to note there won’t be one Value Lab, but many. Depending on the therapeutic area, different stakeholders will need to be involved. An oncology Value Lab, for instance, might bring together representatives from patient advocacy organizations, diagnostics makers, biopharma developers, community oncology practices, commercial payers and professional societies such as the American Society of Clinical Oncology or the National Comprehensive Care Network. These different groups would work together to solve industry-wide challenges, such as defining the most relevant patient outcomes for a particular cancer or developing methodologies to measure those outcomes. The development of new VBCs will be more efficient because participating stakeholders can apply learnings from prior experiments. There is no need to reinvent processes for common challenges, including creating systems to safely share data or define and measure outcomes. Indeed, one need only look at the precedents set when payers began collaborating with providers around alternative payment models to see how Value Labs might contribute to a more rapid diffusion of current best practices. To reduce the administrative burdens associated with these provider contracts, payers have tried to utilize similar outcomes measures across different provider groups. And in 2016, America’s Health Insurance Plans (AHIP), a trade association representing US health plans, helped further streamline efforts by convening a work group of payers, patient advocacy groups and professional medical societies to define a core set of outcomes measures that could be used by all parties. 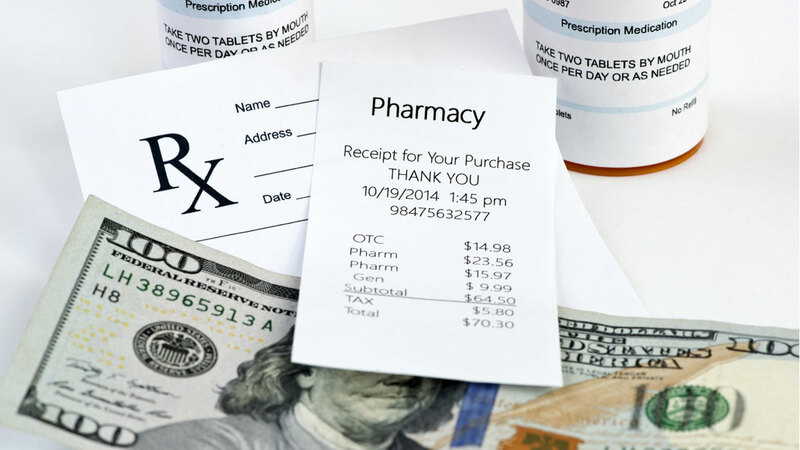 Notes: PBMS=pharmacy benefit managers; HCPs=Health care providers. By creating an environment where payer-manufacturer discussions occur earlier in the drug development life cycle, the Value Lab will facilitate the collection of jointly relevant health economic and outcomes research and relevant scientific and clinical data when a product is still in investigational trials. Collaborating early allows different stakeholders to understand which data are most relevant while streamlining processes for their collection. In addition, these early efforts would bolster pharmaceutical companies’ efforts to gather real-world, patient-centric evidence in the post-launch phase of a product’s life cycle. Early modeling also allows stakeholders to more realistically forecast the potential future impact of products in development and plan accordingly. Many manufacturers today generate these learnings episodically via payer market research and payer advisory boards rather than through collaborations. As a result, learnings are siloed within drug companies, rarely validated, or applied to other products. Regulatory hurdles also exist that prevent the optimal and early collaboration between stakeholders, though industry groups continue to advocate for changes. Contractual terms in outcomes-based deals dictate the amount of risk either side assumes, directly influencing the willingness of stakeholders to engage. Both parties must agree on risk exposure as well as mechanisms and time lines to track and adjudicate product performance. Specific items that must be agreed upon early in the process include the outcomes measures of interest, eligible patient populations, duration of analysis and data used to track performance. By promoting a regular reconciliation process and housing risk assessment experts for all parties, Value Labs can help address larger uncertainties tied to data availability, reliability and ease of adjudication. A real-world challenge to scaling VBCs has been the host of unknowns and confounding factors that affect the risk distribution between contracting parties. For instance, both manufacturers and payers are concerned about being held responsible for risks that can’t adequately be controlled (e.g., medication adherence). By promoting a regular reconciliation process and housing risk assessment experts for all parties, Value Labs can help address larger uncertainties tied to data availability, reliability and ease of adjudication. Leveraging experts within the Value Lab to adjudicate outcomes and help manage risk transparency also provides a way for both parties to jointly respond to variations in risk exposure and fine-tune the deal parameters in real time. Value Labs enable partners to discuss and overcome deal roadblocks while aligning different stakeholder interests and providing the structural support to overcome such barriers. In addition, as proposed, the Value Lab creates a bi-directional forum to discuss evidentiary gaps ahead of, and after, a product launch. As a result, the Value Lab provides a medium for determining what information is needed to close that gap and a methodology for its collection. To be widely used in the market, VBC contracts must be able to account for non-binary outcomes, and apportion risk appropriately across multi-factorial interventions. For example, to understand the impact of a depression medication, stakeholders need to measure multiple elements such as mood, participation in activities of daily living, worker productivity, and sleep duration. Moreover, the effects of a medication need to be assessed in conjunction with the other services the patient receives, whether those are additional medications, psychotherapy, digital health support services, nutritional counseling, or all of the above. Creating a VBC that assesses the discrete impact of any one element, versus the combined impact of the continuum of care, becomes a Value Lab challenge that stakeholders can determine together. This ability to assess multiple endpoints that are subjective rather than dictated by objective lab values is one of the major benefits of the Value Lab. Current VBCs have been limited to simple endpoints (e.g., fracture rates or reductions in hospitalizations) that can be monitored via claims or electronic medical record data. However, in many therapeutic areas, it is not so easy to agree on the clinical outcome to measure or the mechanisms that will enable consistent longitudinal collection of data in an electronic setting. Since Value Labs generate economies of scale, they can enable greater use of “hard to capture” outcomes measures, and therefore expand the number of therapeutic areas amenable to performance-based agreements. Payers and manufactures acknowledge the difficulties associated with capturing more subjective outcomes measures. Because of the up-front investment required to build systems that validate and capture some of these outcomes, the reality is no individual company, whether a payer or a drug company, has the resources needed to create them. But since Value Labs generate economies of scale, they can enable greater use of “hard to capture” outcomes measures, and therefore expand the number of therapeutic areas amenable to performance-based agreements. To make VBCs a reality, all parties need to surmount the technical, cost and cultural challenges associated with gathering and monitoring the outcomes data. Existing information technology systems, data collection protocols and data analytics capabilities vary across organizations, while interoperability and data sharing are rare. Systems that allow safe and regular data sharing between payers and manufacturers don’t routinely exist. Indeed, most payers still feel very uncomfortable sharing even anonymized patient data with companies given unknown, but increasing, cybersecurity threats. Value Labs can promote the development, standardization and interoperability of data management infrastructure. They can also provide participants access to vanguard thinking in the area of data tracking and integration, while experimenting with emerging enabling technologies, such as blockchain, which allows data management via a secure, decentralized network of participants. Indeed, data and analytic infrastructure platforms can be constructed not just for current needs but for future ones as well. Interoperability and data sharing enable value-based contracts to expand beyond traditional, single variable measures to contracts based on a more complex set of interrelated endpoints, including patient-sourced data and real-world evidence. Early Value Lab participants should include those who already have broad data sharing and evaluation platforms or deep knowledge of how these programs should be set up at the company, industry, and payer levels. Implementing and maintaining the operational requirements of a value-based deal requires time, expertise, and significant clinical and back-office resources – each of which may be constrained among smaller pharmaceutical and biotech companies or smaller payers. And, for truly rare diseases, where therapies are likely to be extraordinarily expensive, the fact that even large payers may only have a handful of patients may make developing VBCs impractical in the absence of a structure that enables “pooling” across organizations. Even relatively straightforward agreements can involve multiple steps, starting with the development of a shared understanding of the relevant outcomes measures based on cost, quality and ease of measurement. In addition, both payers and manufacturers must create models based on real-world performance assumptions and then agree to multiple, detailed elements of the contract, including number of patients enrolled, patient adherence levels and the length of the measurement period. For payers, these discussions can be further complicated by existing agreements that designate certain medicines as preferred drugs, thus limiting their formulary flexibility. Payers also need to create a “true-up” process that routinely reconciles agreements. The Value Lab can help reduce some of the hassle factors associated with VBCs that limit their wider deployment. These factors include data collection across multiple platforms, and harmonizing processes for governance and risk mitigation. As collaboration and stakeholder engagement shift earlier in the product life cycle, participants can jointly define and develop the terms, administrative processes and payment mechanisms underpinning the deal. In the Value Lab, driving adherence to administrative processes will become less an exercise in control and more an opportunity to engage stakeholders to identify points of friction. As such, increases in transparency and trust building both result directly from the ongoing collaboration. Given the complexities associated with VBCs and the known downside risks, it is no wonder VBCs have had limited traction in the US market. In essence, until these issues are collectively addressed, a successful, large-scale shift to value-based pricing will be unlikely. Thus, the most important aspect of the Value Lab is that it provides a road map for rapidly moving VBCs from “concept to pilot” (i.e., the first VBC) and “pilot to scale” (i.e., taking a successful pilot VBC and replicating it across payers, or using findings to drive pricing/coverage decisions). In the “concept to pilot” phase, the drug developer and the coverage decision-maker can engage early in the product development life cycle to hypothesize and test various endpoints or data capture processes as part of the contract. This phase of the VBC is designed to determine how the product delivers value and in what patient population. Additionally, it describes a scenario where parties pilot ideas to test hypotheses. On the road from “pilot to scale,” there is the interim step underpinned by data capture, outcome measures and analytics. In this phase, the Value Lab provides the structure and environment to incorporate key learnings iteratively into future arrangements. Inherent to the Value Lab are numerous opportunities to build capabilities, share insights, and, thus create trust between parties that historically don’t have high confidence in one another. The ultimate goal of the Value Lab is to encourage transparency so that efforts to advance new value-based pricing models are not sequestered among a handful of manufacturers or payer organizations, and stakeholders can optimally leverage key learnings. From the payer perspective, new value-based pricing models are still needed to help create more predictability in expenditures and higher rates of clinical and economic return on investments in drug therapies. Recent experiments with bundled payments and forays into risk-sharing contracts between payers and drug companies represent steps forward in the shift to value-based reimbursement. The future-state, however, is more than a collection of VBCs across payers’ books of business; rather, it’s an industry-wide collaboration that creates incentives for biomedical innovations along a consistent and predictable set of value metrics. This becomes critical to help stakeholders understand the independent and comparable value of innovations, and to allocate resources accordingly. While the notion of “good” or “fair” value is arrived at differently by each organization, the underlying concept remains the same: a product’s overall value is independently defined via a framework that can be understood by various stakeholders. The Value Lab construct begins to address the complex relationship between manufacturers and payers/purchasers, creating an opportunity to build trust and transparency through aligned incentives. As such, it becomes a “joint-venture” between industry, payers and other stakeholders to research, evaluate and deliver value to the health care system – creating efficiency, improving outcomes and increasing quality. At the heart of the Value Lab is a focus on improving patient outcomes and more rational resource utilization, which enables collaboration and trust between two groups of stakeholders that, historically at least, were driven by different incentives. Creating a forum to reduce the hassle factors associated with VBCs is necessary but not sufficient to creating an environment that will promote value-based reimbursement. The future state will undoubtedly be more hospitable to outcomes-based deals if and when stakeholders embrace a collective migration toward a more collaborative model. Susan Garfield (susan.garfield@ey.com), Ernst & Young LLP, is a principal in the EY Global Life Sciences Advisory Practice; Michael Sherman, MD, is chief medical officer and senior vice president for Harvard Pilgrim Healthcare, as well as a faculty member of Harvard Medical School’s Department of Population Medicine and chair of the Board of the Harvard Pilgrim Health Care Institute; Roger Longman is CEO of Real Endpoints LLC; Susan Shiff, PhD, is senior vice president, Center for Observational and Real-World Evidence at Merck & Co.; Ellen Licking, Ernst & Young LLP, is senior analyst for EY's Global Life Sciences Industry. The views reflected in this article are the views of the authors and do not necessarily reflect the views of their organizations, the global EY organization or its member firms.